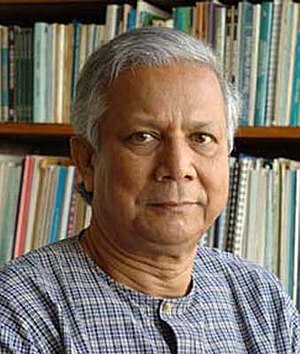 Professor Muhammad Yunus who was awarded the Nobel Peace Prize in 2006, during the Skoll World Forum of Social Entrepreneurship held at Oxford earlier in 2006 spoke of his idea of a ‘Poverty Museum’ to be built in the future when extreme poverty is finally eradicated. As I listened to him speak, I remember thinking that this was an interesting idea, but maybe too fanciful, even impossible. But think again: we can now read Charles Dickens and learn about a form of poverty that is all but historical in the UK, or we can visit a museum in South Korea and learn about the poverty experienced after the 1953 Truce across a country which had a GDP the same as Ghana in 1960, and is now recognised with a strong economy. Much has been written about this issue. Not everyone agrees with each other. Three years short of the 2015 reporting date for the United Nations Millennium Development Goals and how is our progress? In 2008, 8.8 million children died before their 5th birthday. 0.1% of these deaths were in the “Industrialised World”. A staggering 50% of the deaths occurred in sub-Saharan Africa alone. This equates to more than 24,000 children who tragically die every day. The silent killer is preventable illness caused from the effects of extreme poverty. What might this be compared with? It is not all bad news either. Taking a longer term view, since 1960 (when child mortality numbers were first being recorded) the annual number of child deaths has more than halved, from 20 million in 1960 to just 8.8 million in 2008. However, even though child mortality figures have shown a declining trend across the last 25 years, the situation which the world faces compounded by multiple systemic crises is still nothing short of outrageous: the effects of climate change mixed with the hyperinflation of world food prices, complicated by a looming economic stagnation of the West…The eradication of extreme poverty will require more than the distribution of more aid. We all have a role to play. Let me provide an alternative and suggest you join us and become a bridge builder. It really is an opportunity to change the game and improve the lives of millions. Supporting the 10 City Bridge Run might not seem like much, and to you might well represent nothing more than a symbolic act. But consider that it comes at only a small cost to you. Maybe you can open a conversation about this issue with others. More than likely, this is already something you are working on or have contributed towards. We recognise that many excellent initiatives are being undertaken by humanitarian workers quietly and selflessly making a difference. We would love to hear you thoughts. Help us to build a bridge to close the gap on poverty.